Korean trot singer Hong Jin-young shared her makeup secrets upon fans’ requests. 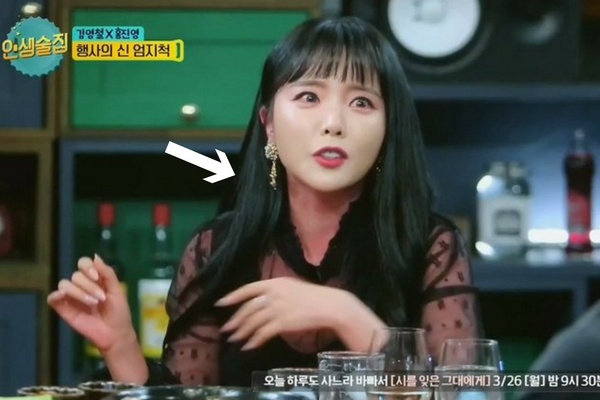 On March 22, Hong Jin-young made a guest appearance on Korean late night talk show “Life Bar,” where guests share their life stories over a drink. In the show, the singer had a couple of sips of beer, which turned her body turn red. Those who watched the show immediately noticed the color difference between her face and neck. While her neck and other body parts visible from the lace dress she wore for the show were vividly red, her face stayed pale. 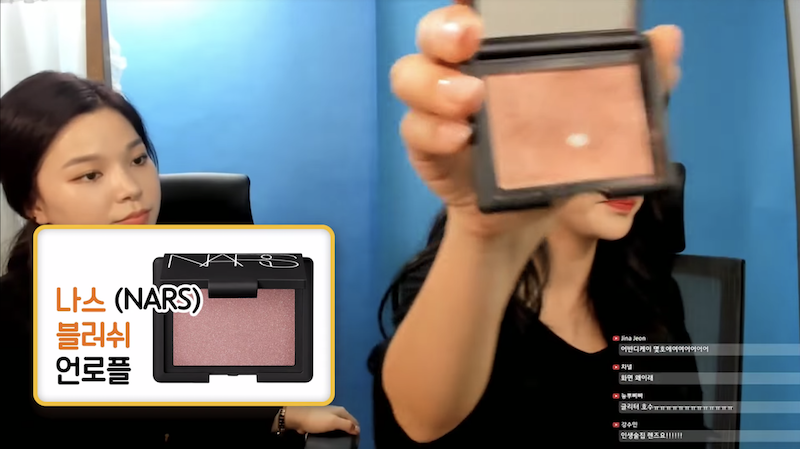 People soon sent the artist direct messages and left replies to her social media channel to request information about makeup products she used. 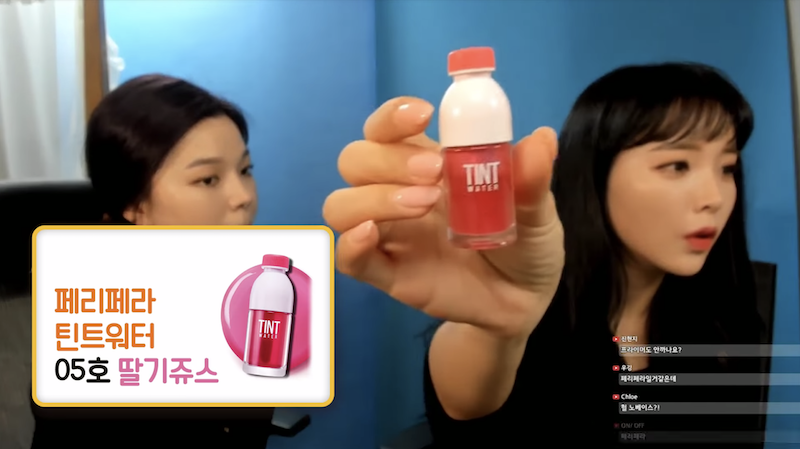 Answering to the overflowing comments, Hong Jin-young unveiled product information through her YouTuber channel. 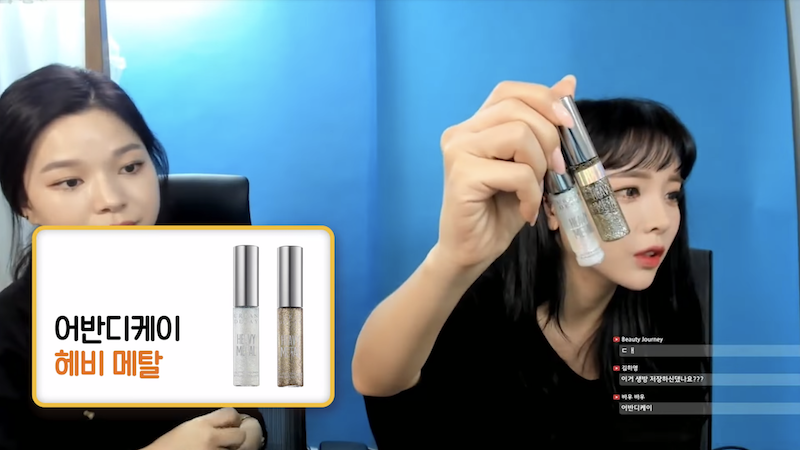 In the live broadcasted show, she and her makeup artist shared a detailed list of facial makeup products she applied for the “Life Bar” shooting. Below is the list of products and how she used the products! Mix the equal amount of each product. 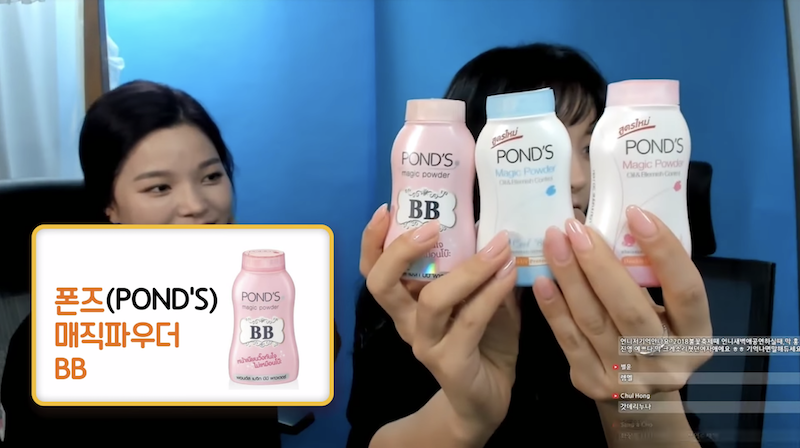 She uses water-soaked Clio’s Hydro Makeup Sponge to apply the base products. 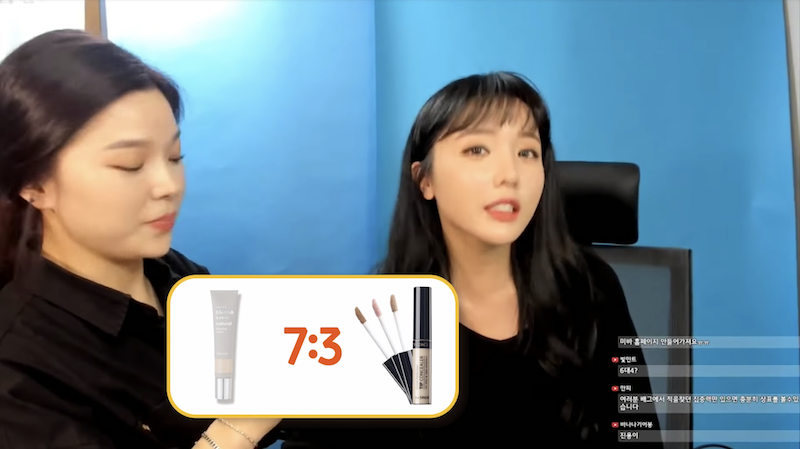 Mix Hanskin concealer and The Saem concealer to 7:3 ratio. Apply multiple times to make the color last longer. Currently, Miba’s BB Cream is sold out on its online store and Hanskin’s concealer is showing 700% of its sales. [Teaser] How Will Kim Jong Kook’s Love Triangle End on Running Man this Sunday?